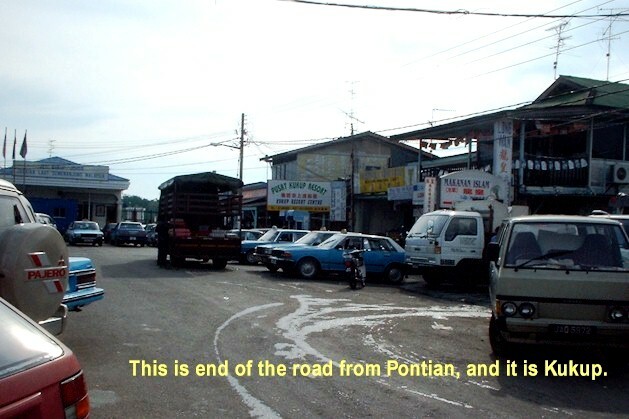 Either you're travelling by road or by sea, you reach Kukup at the end of the Pontian-Kukup road. This place is crowded with teksi, lorry and other vehicles. I would advise you to park your vehicles in the car park at the entrance if you are driving. 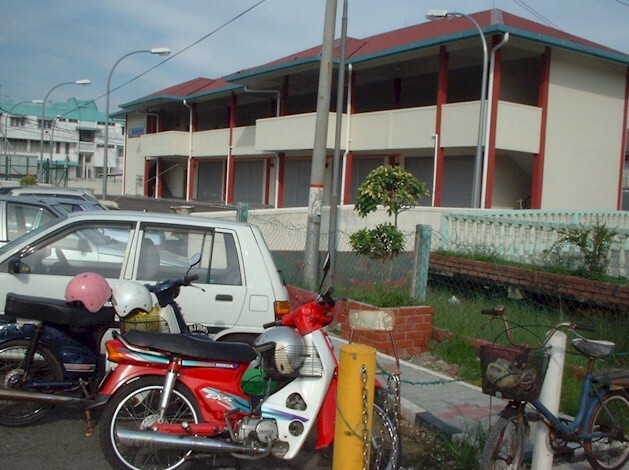 The MARA Aked which was newly built a few years back located just besides the Ken Boon Chinese Primary School, attracts the local Malays and Indonesians to shop here. 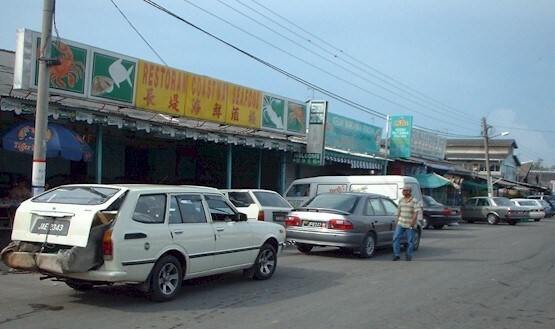 One of the famous Seafood Restaurant located just infront of the Ken Boon Chinese Primary School. There are quite a number of Chinese and Muslim Restaurants serving very good, spicy and delicious seafood in Kukup, and that is one of the reason Kukup is famous as a tourist attraction. 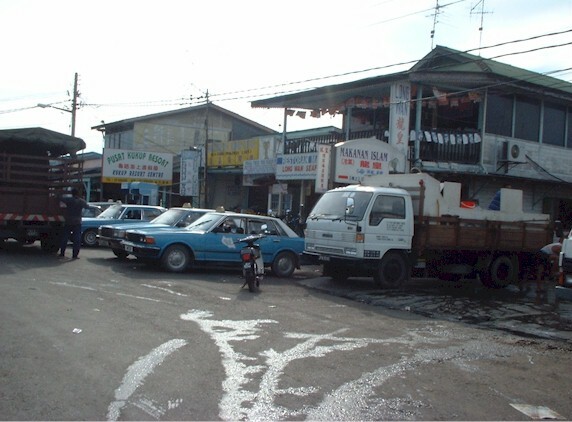 The Kukup Fishermen's Jetty located at the right-hand side of the main road is shared among the people of both Kukup Laut and Ayer Masin Fishng Village. They use the jetty to upload and unload goods including feed for the floating fish farm. Beside the fishermen's Jetty, the famous Ah Hua Coffee Shop is where the local villagers meet every morning. The Long Wan Air-Condition Seafood Restaurant is located just above, whereas the High King Seafood Resatuarant is just beside the coffee shop. Farther next is the Aik Sang Native Product Store selling all types of local product and also cheap watches.